In our special year-end section, Rediff.com looks at people who wrote the India story this year. Udaya Kumar made history when his design was selected from 25,000 entries as India's symbol for the Rupee. Manu A B profiles the talented and brilliant creator of the - . On July 15, D Udaya Kumar was preparing to bid farewell to IIT-Bombay where he had studied for five years and was all set to join IIT-Guwahati as an assistant professor. He was anxious, worried and happy. As he rummaged through the room to check if everything was in place, his phone started ringing -- journalists were calling to congratulate him for designing the Indian rupee symbol. He did not know how to react as he had yet to hear from the government. "Soon the media reached the campus. I realised all of them cannot be wrong. I was very excited and happy," Udaya Kumar recalls. His design was selected from 25,000 entries. The Rupee with a simple and distinct identity had now joined world currencies like the Dollar, Pound, Yen and Euro with a currency symbol of its own. In March last year, the government had announced a competition, inviting creative designs from citizens to represent the rupee in a simple form. Five designs were shortlisted in the first stage, which was further narrowed down to the one by Udaya Kumar. "I am overwhelmed by the recognition. It is a wonderful feeling to think that I would be a part of India's history. Every time, I see the symbol in newspapers or magazines, it strikes me. It my biggest achievement so far," says Udaya Kumar. One of the five finalists, Shibin KK, had seen Udaya's design a year ago during the presentation at the Reserve Bank of India. "I was very impressed with the design. He is a focused person with a great passion for design. We keep in touch," says Shibin. An ardent admirer of Vincent van Gogh, Udaya Kumar is also an architect, painter, photographer, typographer, designer, teacher, gardener, sportsman, singer and cook! The 31-year-old has earned iconic status ever since his design was selected. He has also received endorsement offers, but he has not taken up any as he believes using his identity to promote a brand is unjustified, unless it has something to do with a social cause. He receive invitations to attend various events across the country. Strangely, there has been no felicitation from the government. Despite his achievement, he received no call from any government official before or after the announcement. Neither was he invited for the press conference where Minister of Cultural Affairs Ambika Soni unveiled his symbol in New Delhi! While the prize money was Rs 250,000, Udaya Kumar received a cheque for Rs 224,450 after deducting tax, along with a letter asking him to submit the copyright. It was sent to him by speed post a few days ago. Though disappointed by the governmental indifference, he is unperturbed. What matters to him is that his symbol was chosen. Udaya Kumar plans to donate the prize money to a non-government organisation working for women. 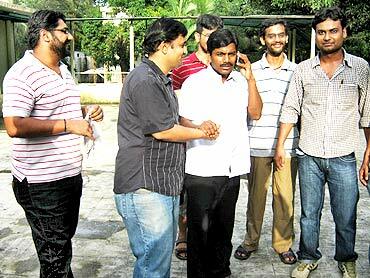 Image: D Udaya Kumar with friends from IIT-Bombay soon after news came in of his design being selected as the Rupee symbol. July 15, 2010 was the most memorable day in Udaya Kumar's life so far. Amidst all the confusion and phone calls, he only hoped the news he heard was true. He had strict instructions from IIT-B officials not to talk to the media till it was officially announced, and at the same time he could not ignore the media. With no arrangement made for an interaction with the media, it was a chaotic day for Udaya Kumar. "I turned into his public relations officer immediately, coordinating interviews with the media. Everyone wanted an exclusive! I still have the notebook where I wrote slots for 88 interviews till midnight that day. I will keep this book with me forever. It was a great experience being with Udaya from the time he started making the sketches to its final culmination," says Anubhav Kaviratna, a close friend and batch mate at IIT-Bombay. The finance ministry guidelines stated that the symbol should represent the historical and cultural ethos of the country. It should be applicable to a standard keyboard and had to be in the Indian national language script or a visual representation of it. "It was a challenge to design the symbol for the rupee. I made sure that it is simple, easy for a common man to understand, write and recollect. My design is based on the tricolour of the flag with two lines at the top and white space in between. It is a perfect blend of Indian and Roman letters: a capital 'R', and Devnagari 'Ra', which represent rupaiya, to appeal to international and Indian audiences." "After working on the design for few months, I made about 100 sketches, shortlisted it to 10 designs and then refined them further till I got this one," says Udaya. An expert in typography, he spent a lot of time on the finer details, visualising the designs in various sizes and resolutions, in various products even on medicine strips. "We were quite positive about him winning the contest. He worked really hard. We at the Industrial Design Centre give a lot of importance to Indian languages. I am very happy that Udaya's symbol reflects it," says G V Sreekumar, his professor at IIT-Bombay. After unveiling the symbol, Minister Soni said the symbol would be printed or embossed on currency notes and coins. The symbol will feature on computer keyboards and software, she said in July. For someone as simple and unassuming as Udaya, this recognition has not brought any change. He won two awards recently, from CNN-IBN and the Association of Business Communicators of India for his commendable work. "I got an opportunity to meet some of the most illustrious people in the country after this achievement. I look up to them as many of them have made a real difference to society. 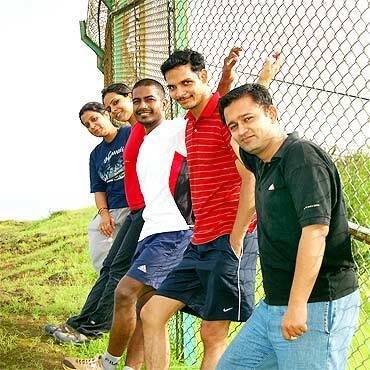 I hope I can collaborate with them at some level," says Udaya who has a frugal lifestyle. He does not own a car nor does he plan to buy one. He could have got a high-paying job but he followed his passion for teaching. "I have always lived with financial constraints, but making money will never be my priority. I use my cycle on the campus and I am happy with public transport when I go out," says Udaya Kumar. He has just been allotted living quarters at IIT-Guwahati. It has nothing, not even a cot. "I have to set up house, design my furniture and make them. I also need to buy utensils and start cooking soon," he adds cheerfully. Udaya Kumar believes that even tea is an addiction. "I drink water. It's a farce to say that creative people need to smoke and drink. Creativity purely depends on one's intellect and observation." Born in Kallakurichi, Tamil Nadu, Udaya Kumar moved to Chennai with his parents when he was five. He was very independent and confident from a young age as he was sent to boarding school at 6. His biggest inspiration, he says, came from his art teacher Vijaylakshmi and van Gogh! Vijaylakshmi was the first person to identity his talent when Udaya was in Class 8. "I am grateful to Vijaylakshmi Madam and other teachers Sushila Madam, Tulasi Madam, Kanagadurga Madam, Narendran Sir and my classmates who motivated me to draw and paint. My boarding school helped me a lot. I also got the opportunity to play all kinds of sports," says Udaya who studied at the La Chatelaine Residential Junior College, Chennai. In high school, he was deeply influenced by van Gogh, Paul Cezanne, William Turner and John Constable. He became most prolific in drawing and painting after he turned 13. When he passed out of school, he felt he was stepping into an alien world. "People did not care for others. It was disturbing to see discrimination and disrespect all around." 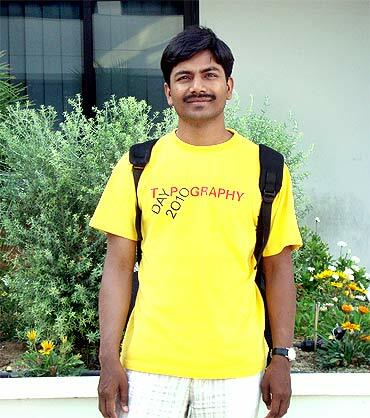 Udaya Kumar joined the School of Architecture and Planning, Anna University, to pursue a bachelor's degree in architecture and went on to do his master's in Design (Visual Communication), from the Industrial Design Centre at IIT-Bombay. His first job was at Infomedia India where he was part of the core design team that conceptualised CHIP, the gadget magazine. After working for two years, he went back to IIT to pursue a PhD in design. With some of the best professors, learning the intricate language of design became a life changing experience. Udaya Kumar also learnt about evolution of the ancient Tamil script. His ultimate aim is to resurrect regional language scripts in India. "India has some of the greatest scripts in the world, but unfortunately they have not been studied properly in terms of design and typography in a scientific manner," he says. His brilliance is not limited to academics, his friends say. "He is very passionate about planting trees, sports and organising events. We have planted 16 trees on the IIT-Bombay campus," says Anubhav Kaviratna. Planting trees, painting, cooking, making jewellery from any junk material like match sticks, staples, wires and strings are among his favourite pastimes. "Now I hardly get any time. I spend a lot of time at the institute. Since I am new to the teaching profession, I spend more time to prepare. At the end of the day, it is a fulfilling experience," he says. But it has not been a winning record all the way. "There were many design competitions held at the national and international levels where I did not succeed. But I never let those shake the belief in myself." Udaya Kumar's parents N Dharmalingam and D Jayalakshmi revel in their son's achievement. "When people compliment me on his achievement, I feel really proud. I wanted him to be an IAS officer or a doctor, but he was very keen on the design field. I am proud of his work on Tamil language scripts and am hopeful that he will achieve much more," says Dharmalingam, who works as a civil contractor. His parents want to take their son to their Kallakurichi in Viluppuram district, Marur and Thiruchitambalam in Tanjavur district, where his maternal grandmother Palzhaniammal and well wishers want to felicitate him later this month. Strongly rooted to his village, Udaya believes this meeting would be the best recognition he has received after his symbol was selected. "My sister Vijaya is most excited. She boasts to everyone about me. My younger brother Vijaya Kumar made a beautiful photo frame of me holding the rupee symbol and has displayed it in the house," says Udaya Kumar. 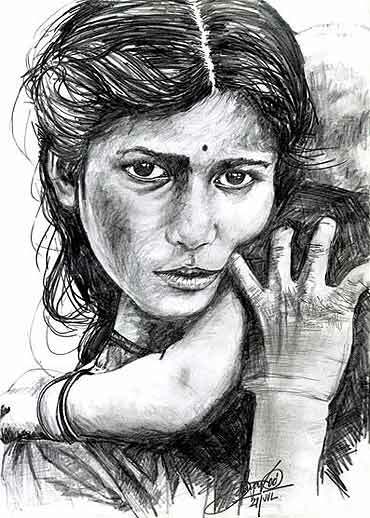 Vijaya Kumar has done his Bachelor of Fine Arts in textile design, is a good artist and craftsman. "We do not like him being a vegetarian. When he comes home, we are also forced to have vegetarian food," laughs elder brother Raj Kumar. "After he submitted the design, Udaya Kumar was very confident. When I asked him to show us the design, he said 'You will see it when it's published.' I am proud of him," adds Raj Kumar, an engineer. 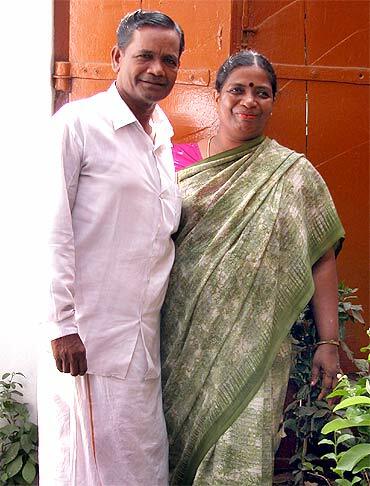 As for his mother, a bigger achievement would be if Udaya KUmar gets married and settles down. Ask him about marriage and he laughs, "It will happen at the right time." His students at IIT-Guwahati are a happy lot. The design department recently organised an exhibition of students' work. Udaya Kumar also organised a tree plantation event on the campus. He spends the whole day with students clarifying their doubts and helping them with assignments. "Simplicity is his identity. He is the best teacher I have ever seen. He has changed the outlook of the design department in a short span of four months. He brings out the best in you with a different style of teaching," says Kanika Gupta who is pursuing a Master of Design degree at IIT-G.
"Though he has no teaching experience, he comes well prepared. He is like a friend," she adds. "In our MDes class, there are students from different backgrounds, people with work experience, engineers, architects, but he has made us feel that we are all at one level," Kanika points out. "He is just too brilliant. He organises games, make learning more practical and useful. It is not about just taking lectures." Education should be holistic, believes Udaya Kumar. "Education is not just about learning subjects and scoring high marks. Unless we create good individuals, we as a nation cannot grow." "Right from our formative years, we must be taught to be good to others, be respectful and always have a helping mentality. Education fails when it creates just academically proficient people. We can make our country better only when we ourselves think and do good," Udaya Kumar explains. A colleague at IIT-G, Professor Sougata Karmakar says, "Udaya is sincere, honest and dedicated to work. Once he is in class, he is detached from the outside world. In fact, he is too engrossed in teaching that he forgets to take a lunch break." The corruption and poverty in India disappoints Udaya Kumar. "I believe India can be a true superpower and a prosperous nation only if every Indian is happy," he says. Unless inequalities like gender bias, caste, religion, income, poverty and corruption, are wiped out, we cannot make any real progress, he says. "This is not just for our country, but for any nation's growth. Therefore, we as Indians must strive for a change and make it happen," he adds. He wants to follow Mahatma Gandhi's advice: "Be the change you want to see in the world. We must be able to help those who are incapable, inspire and help others grow. Even in the design field there are clashes of ideas among people. We should appreciate others' ideas as well and give them room to grow." Udaya says there is not much of research on Indian language typography. "There isn't much good research on the design aspect of language scripts. I would like to build a design content on regional typefaces which can develop the usage of the script and give it more clarity. Since, Tamil is my mother tongue, I prefer to focus on Tamil typography at the moment and probably expand to other Indian scripts," he explains. Another big dream is to establish a design school for students who cannot afford to pay high fees at institutes. "I intend to do many things, but I am not sure how far I will be successful. My efforts will be to spread knowledge to many more people. My teaching is not just limited to aspects of design, it is also about an overall development of an individual's personality to become good human beings," he explains. Winning the rupee symbol contest is clearly not going to be his biggest achievement. "If I consider this as my biggest achievement, I will not be able to grow. I am young and my mind is full of ideas. I believe I have miles to go "